The LA Tech community isn’t just about geeking out. They work hard, but play harder. I had a blast at the The FATHER of All Karaoke Parties event last night! The Roxy on Sunset was closed to the general public and only the Tech Geeks were allowed inside. If you are interested in these kinds of LA Tech events, please let me know and I’ll give you a heads up. I’m so excited to be attending Wordcamp SF for the first time! I’ve been using WordPress way before it was even WordPress and the evolution of the software has been amazing to watch all these years. It was originally written by Michel V and called b2 (then cafelog). I use to help him beta new versions of b2. Michel moved onto new projects and stopped developing b2, and that’s when Matt Mullenweg stepped in. WordPress has come such a long way. To me it’s like watching a child grow up! WordCamp San Francisco is a conference organized by the creators of WordPress for our users and developers. Everyone from casual users to core developers participate, share ideas, and get to know each other. The event is open to WordPress.com & WordPress.org users alike. 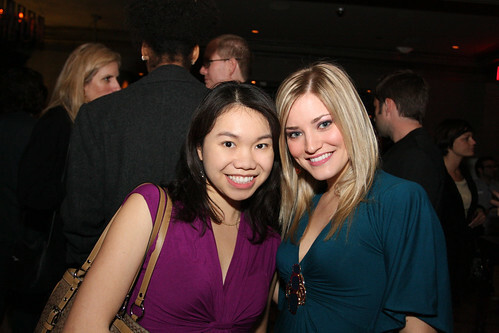 I attended LA Mixers & Tubefilter‘s "The New Media Vault" event at the Crocker Club on Thursday, Feb 26th, 2009 and had a great time! It was great meeting Twitter friends for the first time, as well as making new ones! 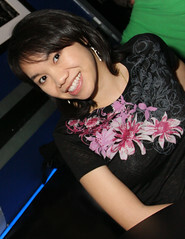 One thing I forgot to bring this night was a CF card for my Digital SLR. Boy I was bummed! So I can’t tell you I how happy I was when Wm. Marc let me borrow one of his. Thanks so much Marc, you saved the night! Beautiful photos taken by Albertech.net. Thank you so much! I’m really excited about going to the LA Mixers & Tubefilter’s “The New Media Vault” event tonight! I hope you can join me! Come join us Downtown at the beautiful new Crocker Club. Not only does the regal new venue recall the glamour of long ago LA nightspots, the lounge features an honest-to-goodness bank vault amidst its ornately styled rooms. Join many others from the worlds of TV, Film, New Media, Tech, Advertising and Venture Finance to make new acquaintances and catch up with old connections. Also, meet online dating expert, Julie Spira, who will be signing copies of her new book, The Perils of Cyber-Dating: Confessions of a Hopeful Romantic Looking for Love Online. We’ll have a business card raffle for prizes that include a 1928 Jewelry gift bag valued at $500, drink specials, and best of all, No Cover! Just RSVP to let us know you’re coming.